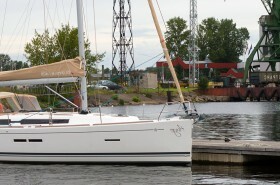 Enjoy the sights at the Port of Riga on a relaxing cruise to Kundziņsala and back again. 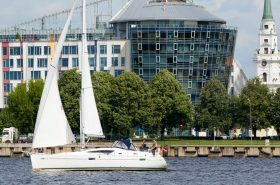 A leisurely two hour break on a sailing yacht along the Daugava will give you plenty of time to chill out and admire the port’s industrial landscape. In the background, we will see the docks, ships, cranes, containers, coal and log piles, and assorted fuel tanks that are integral to the day to day running of the Riga Commercial Port. 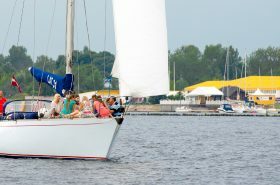 In contrast, the scenic left bank of the Daugava will delight you with its greenery and occasional private house on the river bank not far from Spilve fields. Thanks to its spectacular views of the port and ships, this route will really appeal to children and teenagers and to boys in particular. Meanwhile, adults will be able to enjoy some snacks and refreshments like a glass of champagne or good white wine.  And as you relax, wind direction permitting, the captain will unfurl the foresail to really put the wind in your sails! 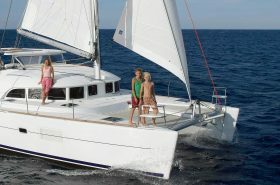 Fancy cruising out to sea? 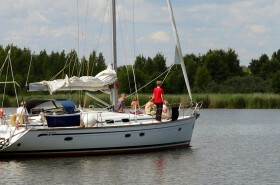 You will have to sail for about an hour and a half to reach the Daugava Estuary. 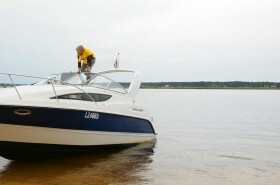 Thus, if you wish to reach the Daugavgriva breakwaters before sailing back to Andrejosta or Kipsala, you should allocate at least three hours for your cruise. 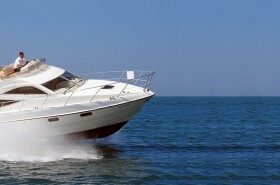 And in order to enjoy some time on the seashore, we suggest choosing a five hour route. 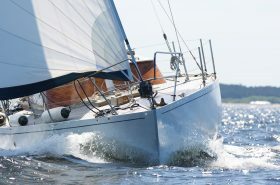 This will ensure that you get full value for money from your sailing yacht cruise, because, after all, we have to reckon with the specifics of yachting and Riga’s geography, which occasionally compel us to amend our plans and visions!